Loosely inspired by a true story, this tender portrait of marriage asks: What do you do when the person you love has to change? It starts with a question, a simple favor asked by a wife of her husband while both are painting in their studio, setting off a transformation neither can anticipate. 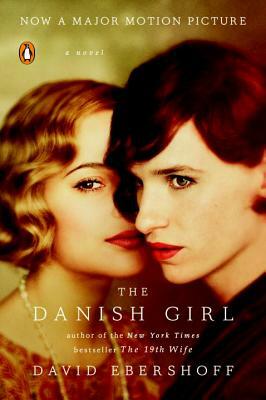 Uniting fact and fiction into an original romantic vision, The Danish Girl eloquently portrays the unique intimacy that defines every marriage and the remarkable story of Lili Elbe, a pioneer in transgender history, and the woman torn between loyalty to her marriage and her own ambitions and desires. The Danish Girl’s lush prose and generous emotional insight make it, after the last page is turned, a deeply moving first novel about one of the most passionate and unusual love stories of the 20th century. David Ebershoff’s debut novel, The Danish Girl, won the 2000 Lambda Literary Award for transgender fiction and has been adapted into a major motion picture starring Academy Award-winner Eddie Redmayne. His most recent novel is the # 1 bestseller The 19th Wife, which was made into a television movie that has aired around the globe. He is also the author of the novel Pasadena and the collection of short stories, The Rose City. His books have been translated into twenty languages to critical acclaim. Ebershoff has appeared twice on Out Magazine's annual Out 100 list of influential LGBT people. He teaches in the graduate writing program at Columbia University and has worked for many years as an editor at Random House. Originally from California, he lives in New York City.